John’s Note: Gifford “Sonny” Sipes of Moody, Alabama, has been crappie fishing for over 50 years. Sipes fishes the Crappie Masters (www.crappiemasters.net) tournament circuit, has won the National Crappie Fishing Championship in 2004, was Angler of the Year in 2008 and won the Alabama Crappie Fishing Championship in 2013. 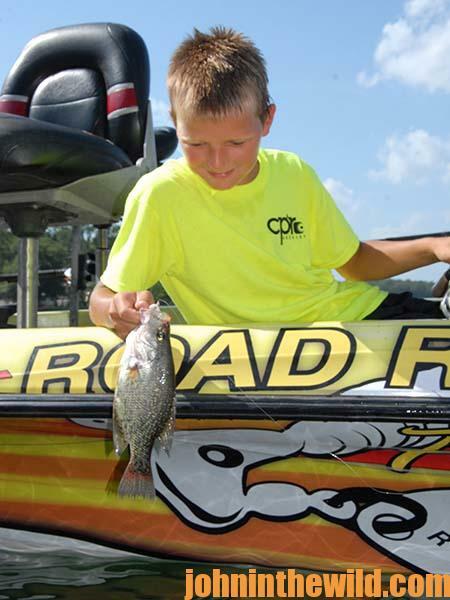 He primarily guides on Logan Martin Lake, Neely Henry Lake and the Alabama River in central Alabama, but as a tournament crappie fisherman, he travels all over the nation finding and catching crappie. If you own a lake or a river house, you have a sizeable investment in that recreational property. The more fun and enjoyment that you, your friends and family can derive from that land and its surroundings, the more value the property has for you and will have if you ever want to sell it. Most people who have waterfront property enjoy some type of fishing, even if their primary focus is boat riding, jet skiing or other water sports. People who own lakefront property often enjoy fish fries and having fish to fry, bake or broil. If you have youngsters, you’ll like for them to be able to catch fish when they’re out of school. 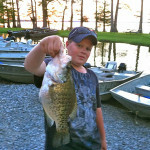 Crappie pro Gifford “Sonny” Sipes enjoys taking families fishing and especially watching children catch fish. “I was a kid myself a long time ago, and I remember how much fun I had catching fish. So, I really get a kick out of seeing young people catch fish too. 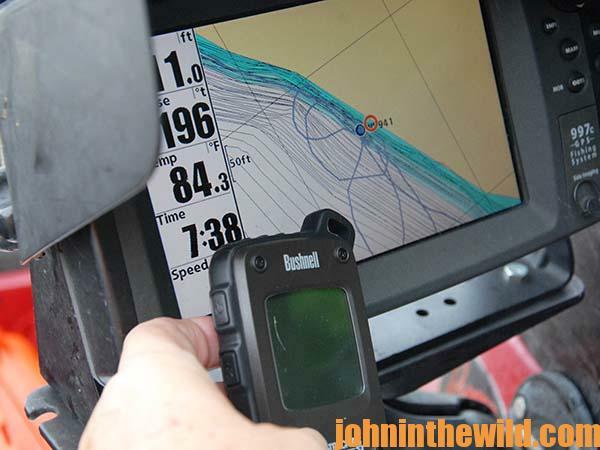 “When I guide a lake resident to help him or her find deep-water locations for summer and winter fishing, I allow them to use a hand-held GPS receiver to mark those spots. Those locations become exclusive for that family. Even if I have 10-different families on one lake, I’ll find four or five exclusive spots for each family, or I’ll sink brush shelters to attract crappie in places where I know crappie hold. 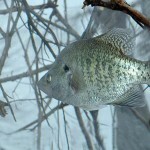 The reason for having four or five various places to catch crappie in hot or cold weather is because there’s no way to predict in which one of those locations the crappie will be in the mood to bite on a particular day. 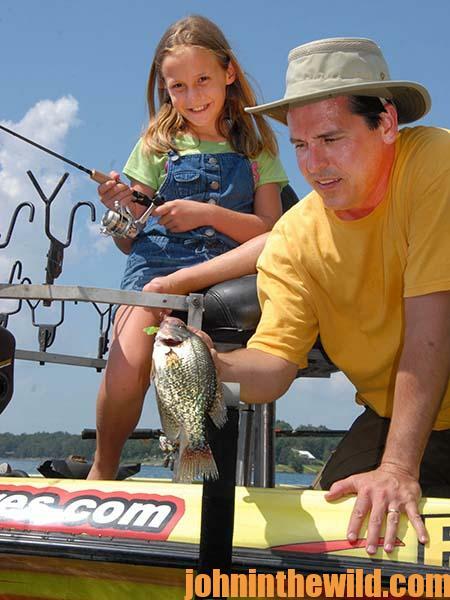 By testing each one of your sites, you can determine where crappie most actively are feeding on the day you want to fish. 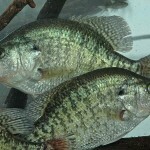 “There is another factor that determines whether or not the crappie will bite on each site we locate. Let’s say we find a big brush top on the edge of a creek or a river channel that’s holding crappie during late June through early September. 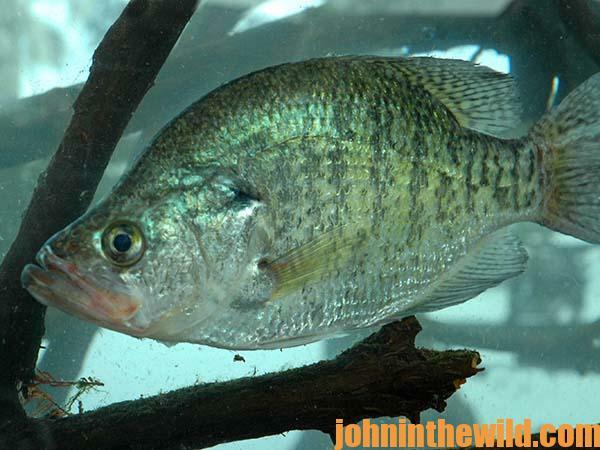 Depending on the water temperature and clarity, crappie can be schooling in any water depth between the bottom and the surface. 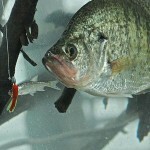 So, the best way to locate the crappie is to fish vertically. Using a single-jig-and-minnow rig – a Road Runner jig by Blakemore (www.ttiblakemore.com) with a live minnow attached to the hook – slowly lower it down from the surface to the bottom. When you start getting bites, that’s the depth where the crappie are holding that day.” One of the biggest advantages of having a crappie-fishing guide with a sidescanning depth finder (www.humminbird.com/products) to locate places where crappie are holding is you can return to those spots after the guide has shown you the techniques, the tactics, the baits and the lures you need to catch crappie consistently at these deep-water locations. 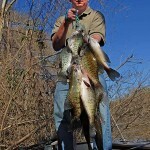 To learn more about this unique system of finding and catching crappie, contact Sipes at 205-919-0982, 205-640-5299, or jinson3303@yahoo.com.